I’m a big fan of Americana. Regular readers will know that there is an imported Chevrolet Corvette adorning my driveway, while the banger-money Lexus LS400 has been remodelled in to a reasonably acceptable copy of the General Lee. 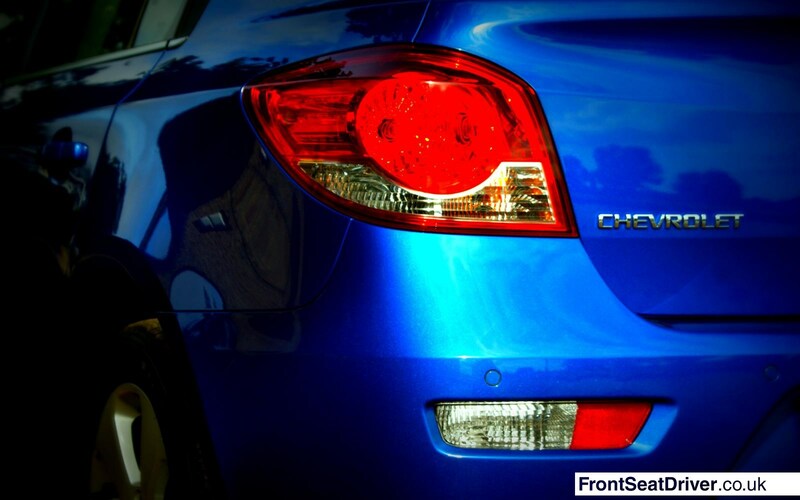 While the modern Chevrolet name in the UK has developed out of the now defunct Daewoo brand, once the older models faded away and the newer more US-style models started coming through it seemed like things were looking up. 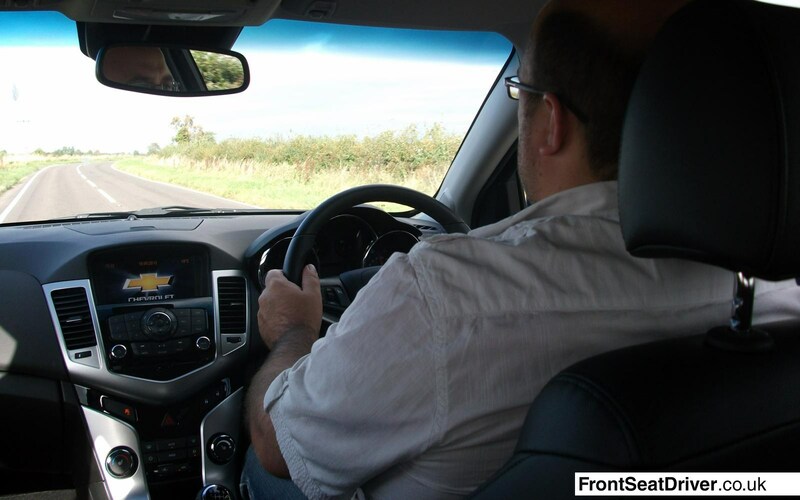 I was spoiled by having the Corvette Grand Sport and Camaro as my first experience of the ‘new’ Chevrolet, and then the Volt turned up representing something totally different and exciting. 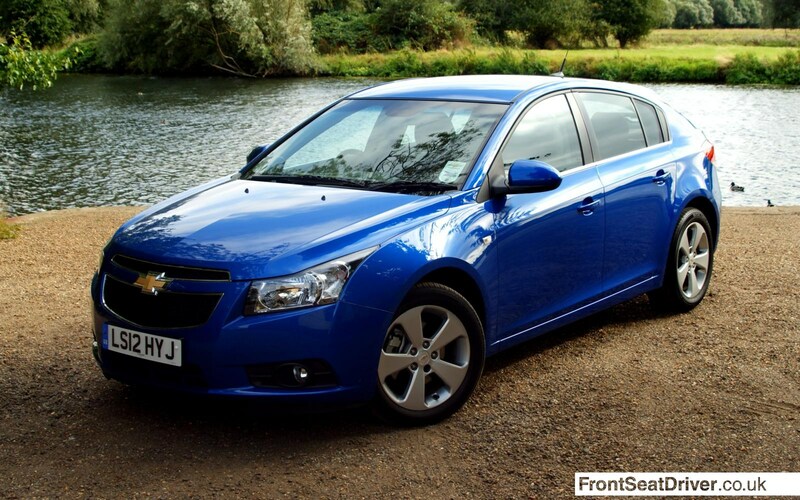 Finally though, it was time to try out the bread and butter metal, so a new Cruze was ordered. 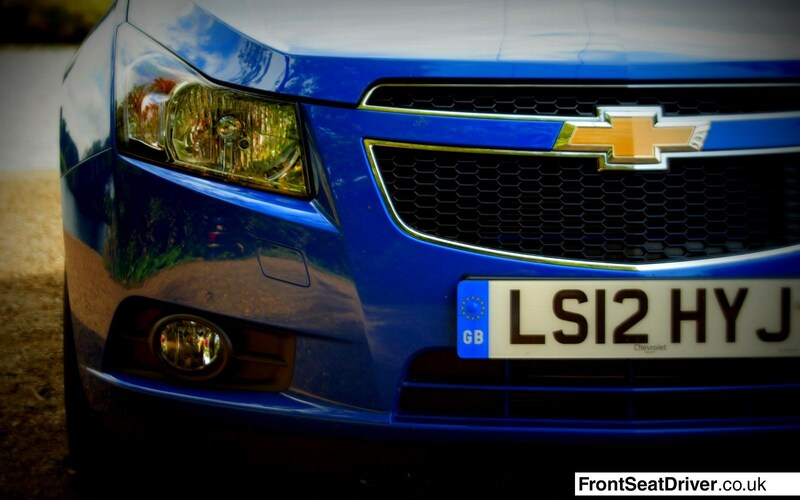 That bold grille promises so much, the huge expanse of chrome surrounding the traditional Chevrolet yellow bow-tie almost shouting its presence. 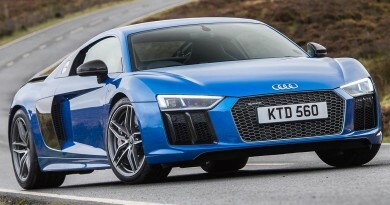 It is a dramatic arrival for a family car, especially in the confident bright blue the test car was sporting. And that’s where the interest ends. 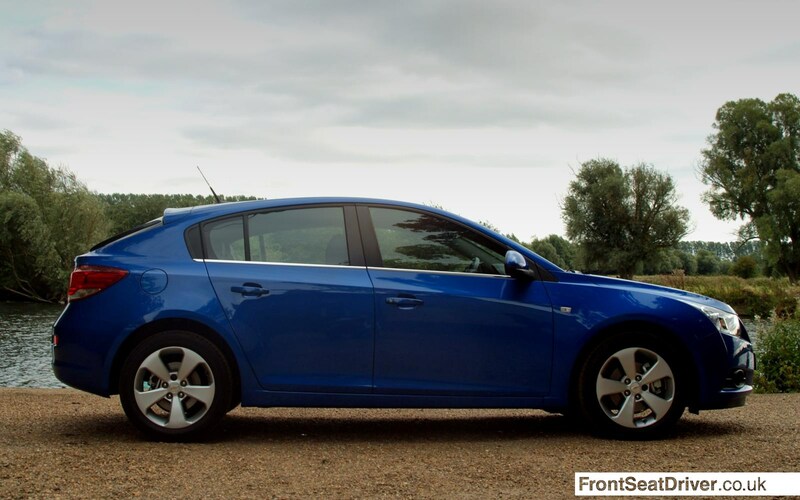 Introduced in 2008 as an unloved saloon, it took another four years for the hatchback version to appear that might appeal to European buyers. That time clearly wasn’t spent working on an elegant way of stitching the hatch on to a saloon body, as it’s not the smoothest of alterations. It’s not ugly, just bland. 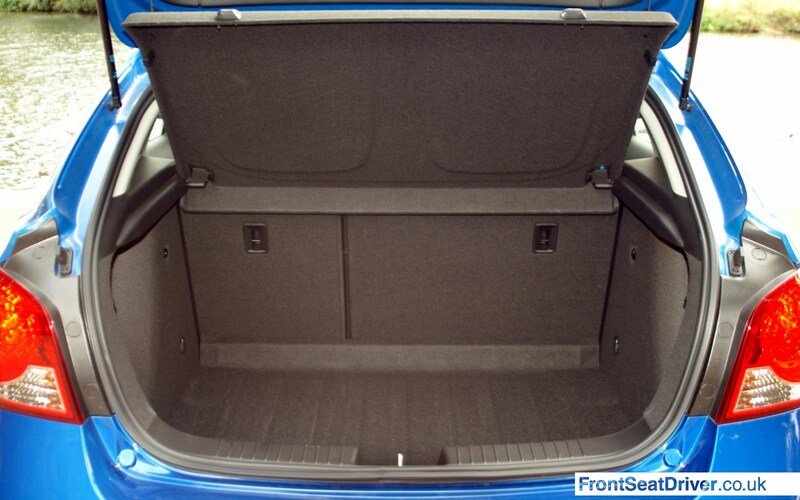 That hatch does provide a more usable boot than in the original saloon version though, with split folding rear seats extending the space available if necessary. Moving slightly further forwards, the cabin is actually quite spacious with plenty of legroom for the rear passengers. However, that sloping roofline robs the car of headroom while a large tunnel in the centre makes the middle seat almost unusable. 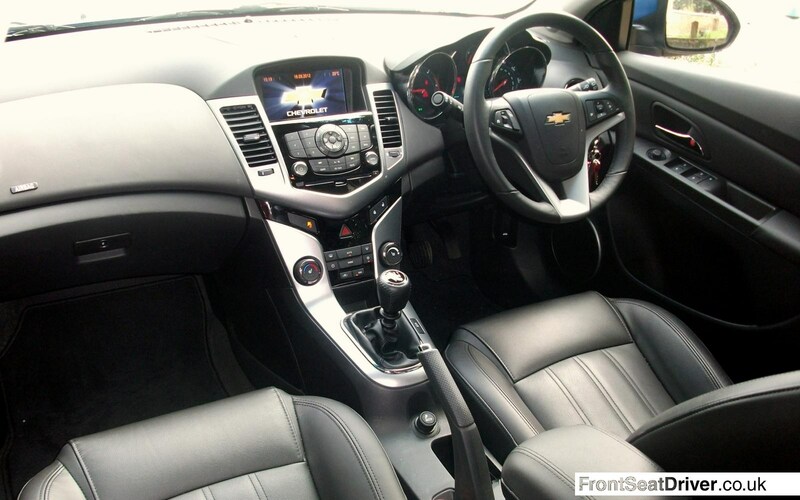 The seats are also hard, which just highlights the fact that the suspension on the Cruze is firm, especially at low speeds. It jiggles and crashes from one pot hole to the next, yet doesn’t reward you with sports car like handling when the speeds increase. Instead it’s just a little anonymous, with a fair chunk of body roll and a liberal handful of understeer if things go too far. It’s fair to say that there’s little DNA transfer from the Camaro and Corvette. So what happens if you put that out of your mind and think about the car from a purely economic point of view, as if you were buying a fridge or sliced bread? Things take a turn for the better at that point. Staying inside the car, the front seats are quite an exciting place to be. The dashboard is distinctive, with bold lines, silver inserts and a large LCD screen, giving a slightly upmarket impression at first glance. It’s all a bit hard and plastic though, with some very shiny surfaces appearing lower down in the cabin where cost savings shouldn’t be noticed quite so easily. It all felt well built though, with no rattles or creaks. Equipment levels are generous, too. Even the entry level ‘LS’ model gets air conditioning, an MP3 player input, traction and stability control, cup holders and a cargo net in the boot. 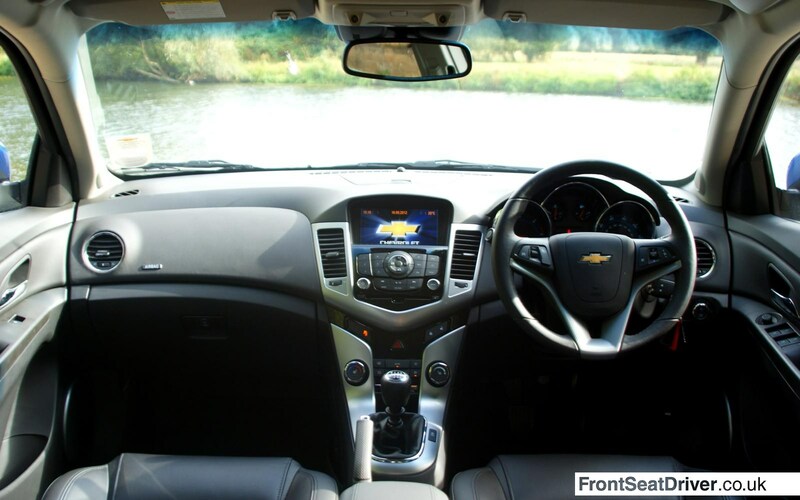 My LTZ Executive was the top of the range effort, adding sat-nav, leather seats, electric sunroof and electric or automatic everything. 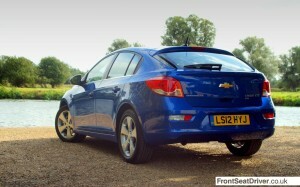 Thanks to a bit of a mix up with Chevrolet, it also came with the 2.0 diesel engine rather than the new 1.7 litre unit. The headline power figure of 161 bhp (163 PS) might not sound much, but the torque figure of 266 lb/ft (360 Nm) promises much more. That translates to a 0-60 mph time of just 8.5 seconds, but disguises the fact that a couple of seconds could be knocked off that if Chevrolet could iron out the turbo lag. The lag makes driving in changing conditions tricky. You press the throttle and… nothing. Press it harder and still nothing happens. All the while the turbo is spooling up and, just as you get frustrated and stamp of the accelerator, all the power is unleashed. Time things right and it shifts quickly enough, but at the expense of economy. An official combined mpg figure of 50.4 is barely adequate in this segment, with the car managing just 40.8 mpg on the Front Seat Driver Test Route. CO2 emissions of 147 g/km aren’t anything to write home about either. 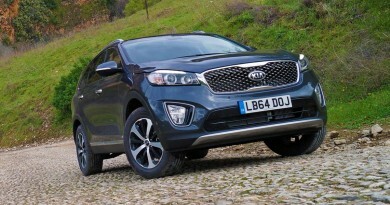 The new 1.7 litre diesel engine makes a lot more sense though. 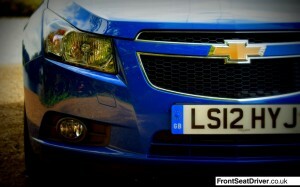 With nearly as much torque, it’s barely any slower but is a good 20% more economical and with a CO2 figure of 117 g/km. That means a saving of around £250 a year on fuel for an average motorist and a reduced road tax bill of £30 instead of £135. Continue focussing on costs and the Cruze begins to make some sense. With a starting price of just £14,275 you can get in to Mondeo size motoring for Fiesta sized funding. At that price you’ll be driving a 1.6 litre petrol, but what you lose in economy from that will be more than made up for in purchase price. 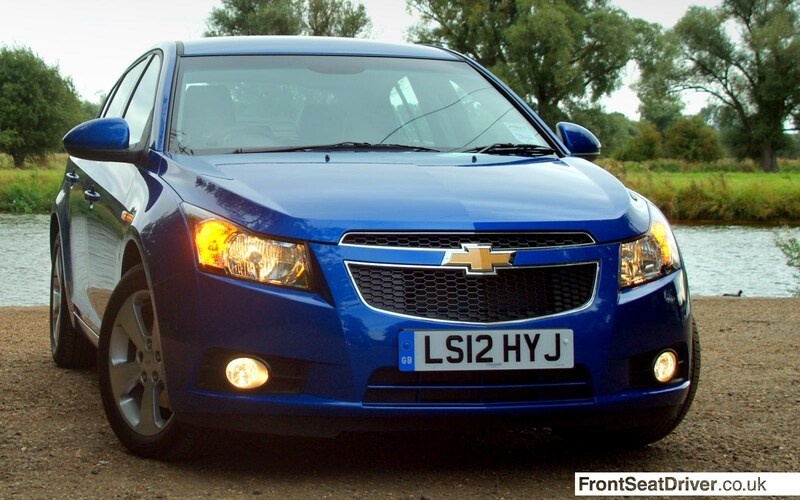 At around £20,000 for my test model, the Cruze just doesn’t make sense. It’s not a premium model, it’s not a sports car. It’s bread and butter motoring. There’s absolutely nothing wrong with that, but you’d be foolish to sprinkle the finest grated truffles over some bread and butter. Instead keep things simple and honest where you’ll find that as a budget purchase it’s a sound choice. It’s just a shame it’s about as American as France.